As kids, we waited all school year for summer vacation, and that feeling of anticipation is something we should never outgrow. Summer is the perfect time to shake up a dull routine and try new things that will add a little sizzle to our summer. With the longer days and cool evenings, it’s time to embark on some activities that will improve health, strengthen or reconnect relationships with family and friends, and inspire new challenges for everyone to enjoy. 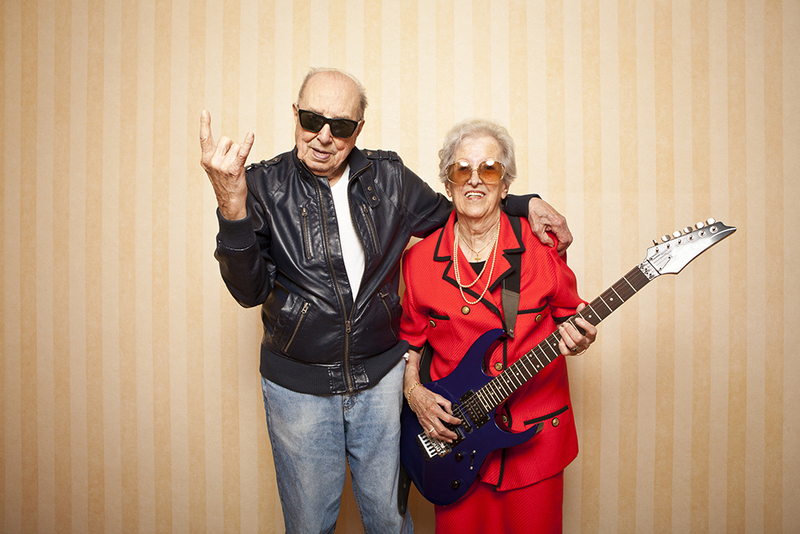 Here are seven ideas to rock your summer with fun senior center activities. As an added bonus, why not invite a local chef to visit for the day to cook up regional delicacies while sharing interesting factoids about a culture? Anyone interested in a second helping of adobo? 2. ”Do You Know Your Neighbor?” Challenge. In conjunction with a resident spotlight, testing residents’ knowledge of who is sitting next to them during lunch is a fun way to ignite friendships and encourage social interaction. During a special “neighbor potluck” meal, residents guess who the spotlight neighbor is by listening to interesting facts about the mystery person. Be sure to highlight the resident’s hobbies or skills. Depending on his or her abilities, it may be a skill that can be shared during a future activity. 3. Learn A Second Language. New studies show there is no decline in an older adult’s ability to learn a new language. “Adults learn differently from children, but no age-related differences in learning ability have been demonstrated for adults of different ages,” said Mary Schleppegrell. “The greatest obstacle to older adult language learning is the doubt–in the minds of both learner and teacher.” Once you overlook that stereotype, residents can try their hand at a variety of communicative forms, including sign language. Benvenuto to a new world! Sometimes, an opportunity is key. Inviting residents to try a new hobby can be as easy as placing a paintbrush in front of them or turning on some music and introducing a new dance move. Many centers also host computer courses so residents can feel more connected to the world–and their families. One hour of Skype or Facetime instruction enables a resident to rebuild and reconnect with those they love and miss seeing regularly. Some centers have collaborated with others to host a “Pen Pal” program between residents. Residents of both facilities can share stories via email or hangouts. The goal is to introduce new interests and learning opportunities that can be celebrated throughout the year. Practicing healthy habits is something we never outgrow. “If members of the geriatric population can incorporate daily exercise routines into their lifestyle, many studies have revealed such choices to have numerous benefits to not only their physical health but their social health as well,” said Loren Grush of Fox News Health. Regular exercise improves cardiovascular health and reduces the risk of cancer and diabetes. Activities could vary throughout the year, such as hosting a walking club during the warmer months then offer a Wii bowling or dance tournament when the weather is cold. Many centers now teach yoga, Tai Chi, or moderate aerobics classes for those looking for a good stretch to start the day off right. Courtenay added that fish and birds could encourage healthy behaviors as well. She referred to a study out of Purdue University where Alzheimer’s patients began to eat more healthy when aquariums were installed in the dining rooms. Summer is worth singing about, and what better way than through the health benefits of music. Studies show that even minimal movement can release mental and physical stress. “For many seniors who are able, dancing to music is a wonderful way to exercise,” said the staff at Retire At Home Services. “Being swept into the rhythm of music can lower blood pressure and stimulate organs in the body.” Just watch how residents react to a visit from the popular musical group The Piano Guys. For those living in senior care, this isn’t the time to merely watch another year pass by. Instead, use these seven ideas of senior center activities to embrace the gift of a new year with opportunities that provide better health, meaningful relationships, and exciting new adventures.